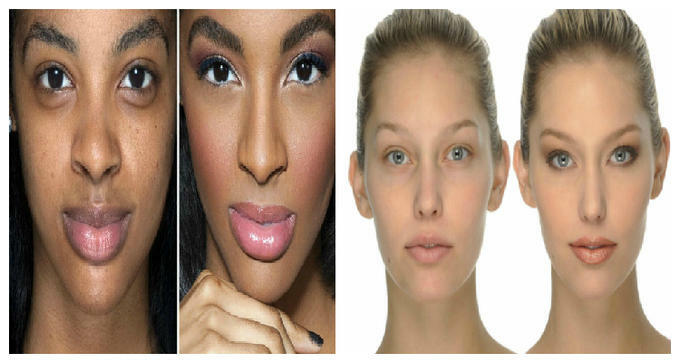 One of the popular trends in the cosmetic world is contouring, defined as emphasizing shadows and light on the face, with some beauty sources calling it the “New Photoshop.” Unlike the dramatic contoured looks of the 1980’s, where the approach was to create sharp angles or hide imperfections, the modern approach to contouring is about bringing dimension and symmetry to all face shapes. According to celebrity makeup artist Beau Nelson, the goal is to create a subtle definition and not a noticeable look. Highlighter- used to lengthen areas of the face and bring light to areas such as the center of eyebrows, under the eyes and lips and the center of the nose. Shimmer shades can be used. Contour- choose shades that are not too orange or brown and avoid shimmer; matte colors work best and look the most natural. Apply to areas such as the temples, jawline, and most importantly, the cheekbones. 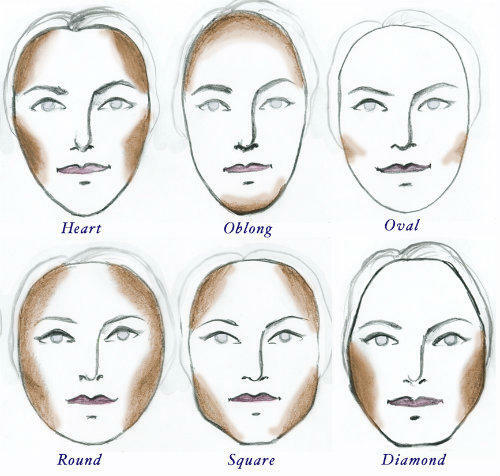 For some face shapes, contour colors can be applied to the neck. Blend- focus on keeping the points of light by blending the dark shades into the light shades. For best results, use a damp, egg-shaped sponge, such as the Beauty Blender , which provides precision, streak-free blending. Finish- set the look with loose or pressed powder. Add warmth with a blush or bronzer. 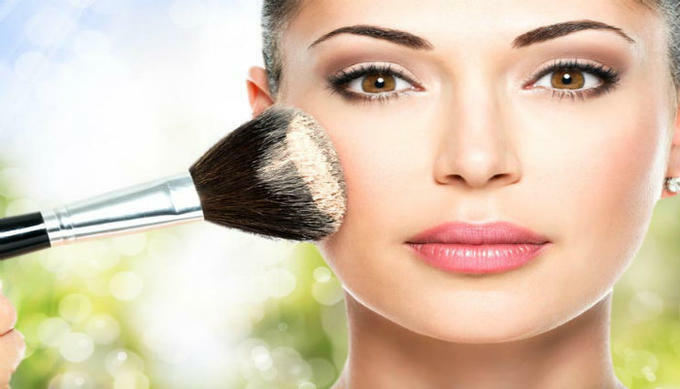 -Contour products are available in powders, creams and pencils. Choose powders for a matte finish or creams and pencils for a more dewy finish. -According to Nelson, pay attention to brush shape. Use at least two: one for highlighting and one for contouring. A dual-ended brush with tapered, synthetic bristles to create a precise finish. A fan brushed can also be used to feather products and create an airbrushed look.